A clinical researcher’s dream is to have a database of patients willing and ready to take part in research and trials, and it could be said that this is exactly what haemophilia research nurse, Elizabeth Dwenger, has built. 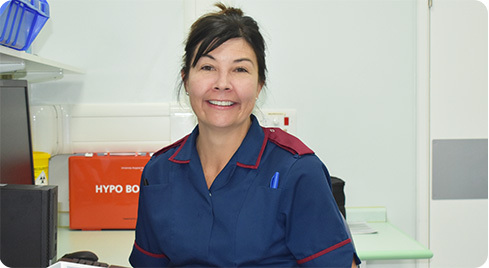 Elizabeth, originally from Georgia in the USA, trained in the UK and for many years was a specialist cardiac research nurse, before making the move across to haemophilia last year. At that point no haemophilia research was taking place at BHP founder member UHB, despite a well-established and very busy Haemophilia Comprehensive Care Centre. Now though, thanks to the work of Elizabeth and her colleagues, 100 patients with haemophilia or other bleeding disorders are currently involved in trials. Elizabeth recruited 52 patients in the first year and since May 2018 has had the help of a Clinical Trials Data Officer, thanks to funding from the National Institute for Health Research (NIHR) Clinical Research Network West Midlands (CRN). Although Elizabeth is currently the only research nurse in haemophilia she is very well supported by the team around her, including consultants who are “fully engaged with the patients”, even giving up their own time to talk about trials and all they involve, making sure patients know exactly what they’re taking on. The Haemophilia Unit provides a walk-in service, so patients can come in at any time they are open if they have a concern. “It helps being in the unit and clinics as patients get to know me as part of the team,” said Elizabeth. Patients travel from around the UK to come to UHB and the centre is now ranked 3rd in the UK for haemophilia research. The support of the NIHR Welcome Trust clinical research facility (CRF) is also invaluable to the haemophilia trials, where every member of the team in the unit, from the reception, to the clinical staff, laboratory staff and pharmacy, all make a difference. Elizabeth and her colleagues have a passion for research, a point highlighted earlier this year when UHB’s consultant haematologist, Gillian Lowe, was presented with a NIHR British Society of Haematology ‘Researcher of the Year’ Award. Gillian has recently encouraged Elizabeth to become a member of a regional Clinical Research Network where she can meet fellow researchers from around the UK. Elizabeth added: “Haemophilia patients are patients for life and so we have a unique cohort of people we remain in contact with for years on end. This is a special group of patients who tend to know a lot about their condition,” said Elizabeth remembering that when there was a report in News@UHB about success with a gene therapy trial which now is saving lives, she was inundated with calls from other patients wanting to know more and how they could get involved. As a result, the team now has a database of interested patients wanting to be involved with research. 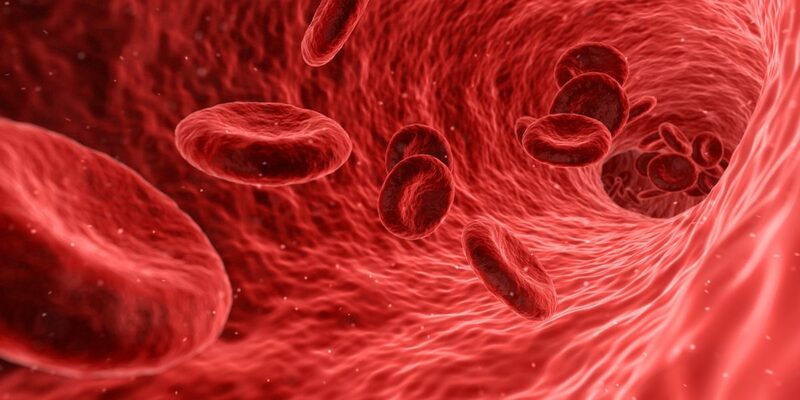 Current trials taking place at UHB include five with specific bleeding disorders and four with haemophilia, with two more haemophilia studies starting by December. One drug company, BioMarin, together with the hospital charity, is funding a nurse for a forthcoming five year study. This is another step towards realising a vision of building the haemophilia research team so that they can further increase opportunities for patients to take part in ground breaking and possibly life changing research.